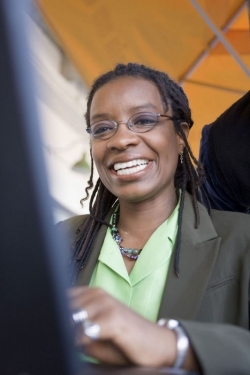 Go-Jamaica JobSmart :: You, Inc - Become the CEO of your own career! You, Inc - Become the CEO of your own career! Everyone is alarmed: more than 30,000 Jamaican workers have joined the already bulging ranks of the unemployed, since December 2008. Thousands more worry they might be next. With a mind boggling 6.9 million jobs lost in the United States, 'flying out' doesn't offer much better prospects. So what should you do, apart from wringing your hands in frustration and hopelessness? The answer: become the CEO of your own brand, You, Inc. Here's what I mean: whether you have a job, lost yours, or never had one, start thinking of yourself as a company of one, and act like it. Replace a 'job-mentality' with a 'work-mentality'. "That's no big deal; it's just semantics!" you may think instinctively. But think again; the difference is huge. As more people lose their jobs in the workplace, there will be more opportunities for people who are willing to do 'work' beyond the requirements of a mere job description, or title. This powerful shift will cause you to look for work, not jobs. In a 'dejobbed' workplace, true security in building a long-term career will come, not from clinging to a job, but from finding work that needs to be done, notes William Bridges, in Creating You & Co. In real life terms, begin to search for or create work opportunities that capitalise on your unique skills and abilities, qualification, experience, or interests. Can you sew, cook, play a musical instrument? Do you have an aptitude for fixing electronic gadgets, or selling, or fashion designing? Do you write well, learn foreign languages easily, or have a degree in engineering that's gathering dust? It's time to marshal all these valuable resources, find markets to promote yourself to, and create products or services to individuals, groups, or companies that could benefit. If you are employed, here's a tip: dump your job description. Go beyond it and find work that needs to be done, making use of all your assets. Ask yourself: How can I become more valuable to my organisation? Then answer by adding more value, over and beyond what's expected. Maybe you're thinking: "Wait a minute; that's unfair! They're not going to increase my pay! Why should I let people rip me off? They hired me to do a job, and that's what I'm going to do, nothing more!" This kind of mindset has to go. Your employer is actually providing an opportunity to develop your latent potential - and paying you in the bargain! At any time, you could lose your job, and may not find another comparable one quickly. If you have developed yourself adequately, it won't matter. You'll always be able to find work, doing any, or a combination of several things at any given time. If you're unemployed, it's a good idea to start building You, Inc., even while looking for a job. Heed the wisdom of Thomas Edison who, decades ago noted: "Opportunity is missed by most people because it is dressed in overalls and looks like work."